How to Consider for Outdoor LED Display's Safe Operation? he outdoor LED display faces the following problems before installation and use. The LED display must solve these problems in order to work safely. 1. The LED display is installed outdoors, often exposed to the sun and rain, blew the wind and covered the dust, and the working environment is bad. If the electronic equipment is wet or seriously damp, it may cause a short circuit or even a fire, resulting in loss. 2. LED displays may be subject to strong electrical and magnetic attacks caused by lightning. 3. The ambient temperature varies greatly. When the outdoor LED display is working, it must generate a certain amount of heat. If the ambient temperature is too high and the heat dissipation is poor, the integrated circuit may not work properly or even be burned, so that the display system cannot work normally. 4. Outdoor LED display, wide audience, long distance of sight, wide field of view; large changes in ambient light, especially direct sunlight. The in continue is the special requirements of outdoor LED display. For these features, we will summarize the precautions for outdoor LED display. 1. The screen body of the LED display screen and the connection part between the screen body and the building must be strictly waterproof and leak-proof; the LED display main body should have good drainage measures, and the water can be discharged smoothly once the water accumulation occurs. 2. Installing lightning protection devices on LED displays and buildings. The main body and the outer casing of the display are well grounded, and the grounding resistance is less than 3 ohms, so that the large current caused by lightning is discharged in time. 3. Installing the ventilation device to cool down, so that the internal temperature of the outdoor LED display is between -10 °C and 40 °C. Install an axial fan or air conditioner on the back of the screen to dissipate heat. 4. Industrial-grade integrated circuit chips with an operating temperature between -40 ° C and 80 ° C are selected to In case of the LED display cannot start up due to low temperature in winter. 5. In order to ensure far distance visibility in the case of strong ambient light, outdoor LED displays must use ultra-high brightness LED chips. 6. 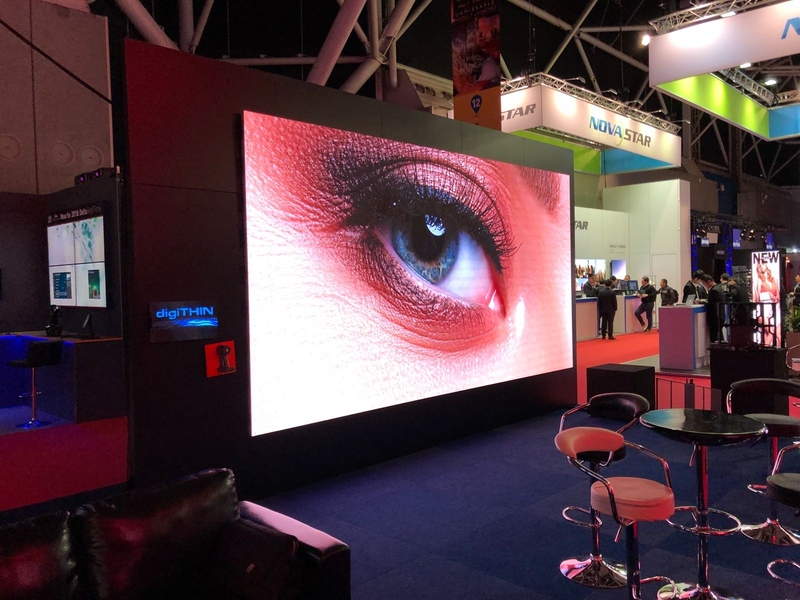 The display medium of the LED display screen adopts a new wide viewing angle tube, which has a wide viewing angle, pure color, consistent coordination, and a life span of more than 100,000 hours. The outer capsulation of the display medium is currently the most popular with a rectangular cylinder with a cover, a silicone seal, and no metalworking; its appearance is exquisite and beautiful, sturdy and durable, with the five defenses features of direct sunlight, dust-proof, waterproof, high temperature resistance, and short circuit protection.